14. The name Jesus appears in the Bible more than 900 times. 13. Historians also back the claim that Joseph, Jesus' father, was a carpenter, meaning Jesus would have gone into the family profession as well. 12. Jesus ate bread which has been a common food throughout history. He also ate clean meat such as lamb and fish. He also ate eggs because he once said eggs are a good gift. 11. "Christ" is a title and it comes from the Greek form of the Hebrew Messiah, meaning "anointed one." 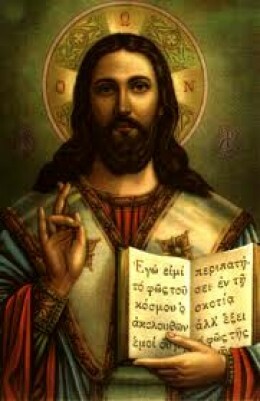 Since the time of the earliest Christians, "Christ" has been used both as a surname and as a name that stands alone. 10. Jesus is All-Powerful - Matt 28:18 6. Jesus is All-Knowing - Col 2:3 7. Jesus is Ever-Present - Matt 18:20. 8. According to Colossians 1, when God created the world, He created it by, through, and in Christ. This means that all time, space, and matter are all in Him. Thus Jesus is Alpha and Omega, beginning and end, all at the same moment. 5. Jesus said He was the bread of life and the living bread (6:35, 48, 51). He was the light of the world (John 8:12). 4. There is no record of his birth date but is generally celebrated on December 25 each year. Many scholars say that he was born sometime in winter or early spring. This is a list of the historical and biblical figure Jesus Christ. I hope you enjoy the facts. Make money on RedGage just like SpillGuy!